We review DVD's quite often and Transformers is something the young, and older, lads always enjoy. Transformers Beasthunters - Race For Salvation is volume 2 from season 3 and contains episodes 8-13. 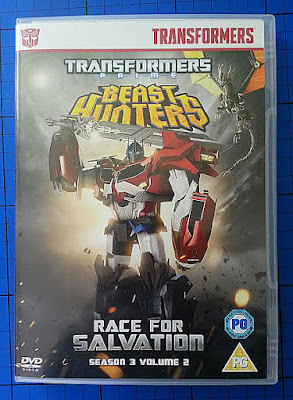 It continues on from Transformers Beasthunters - Battle For Darkmount which we reviewed earlier this year. There are 6 episodes on the DVD - Thirst, Evolution, Minus One, Persuasion, Synthesis and Deadlock - with a total running time of 2 hours and 6 minutes. The characters are obviously familiar to Transformers fans, and the animation is quite bright and not as brooding (dingy) as some older Transformers DVD's. All of the characters have really expressive faces in the Beasthunters series, which tends to make them more like 'humans dressed up' than the vehicles they are, and is very different to the way the live action films have gone, but more true to the originals. 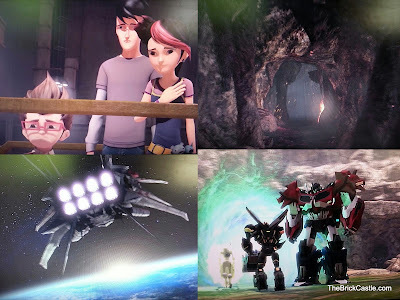 Just like the live action films, and in very Japanese style, Transformers Beasthunters - Race For Salvation does have plenty of emotional and touching moments, and beautiful scenery, and it's portrayed very well. 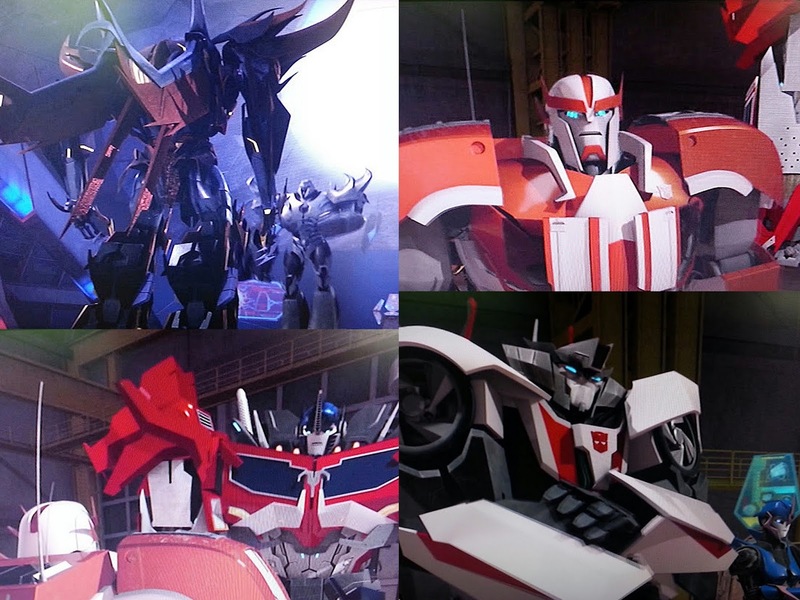 The animation in the Beasthunters DVD's is actually very well done and easy on the eye for adults as well as children. The storylines can be a bit tricky and in depth, and the suggested age range is around 5+, which I agree with. The Race For Salvation DVD includes the story of some ancient 'bones of the Predacons' which need to be kept out of the Decepticons hands or else they'll clone a whole race of Predacons and take over the world. Although our 5 year old loves Transformers, I do find he loses interest in in-depth storylines and wanders off whenever there's less action on screen! Meanwhile my 17 year old enjoys it as much as my 6 year old, so appeal really is likely for any Transformers fans who can follow a more complex storyline..
With a runtime of over 2 hours, a PG rating and a price of around £7 Transformers Beasthunters - Race for Salvation series 3 volume 1 DVD is a good buy for any Transformers fan. Availale now online or in store. My OH and son love it! The graphic was great.